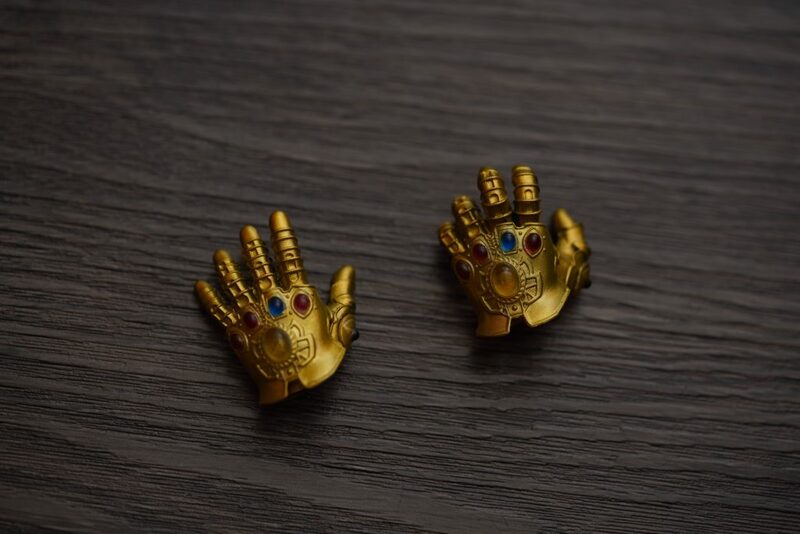 We’re just counting down the days until we see the most awaited fourth installment of the Avengers’ film – End Game. 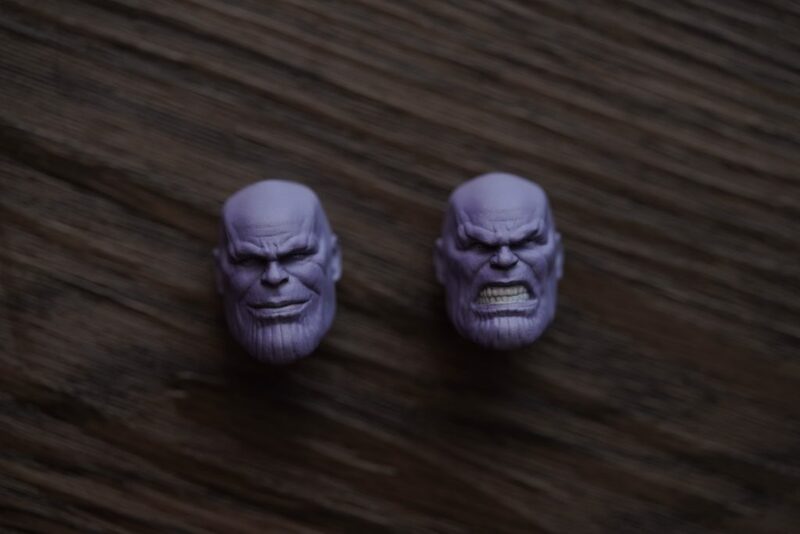 This review will be all about the mad titan himself, Thanos. 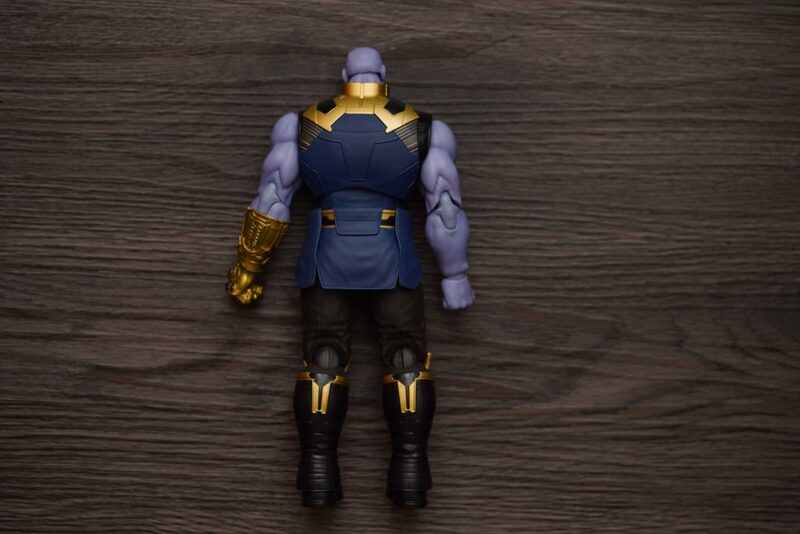 The main reason why half of the universe disappeared before our very own eyes. 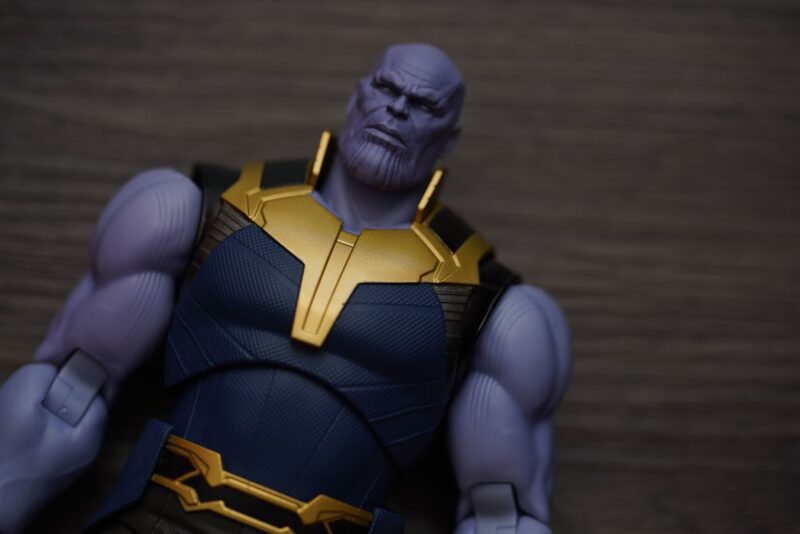 The box art has the same element as most of the Infinity Wars SHFiguarts releases which makes it very cohesive when displayed. The gold accents can also be seen in the other box arts although the box color itself may differ. 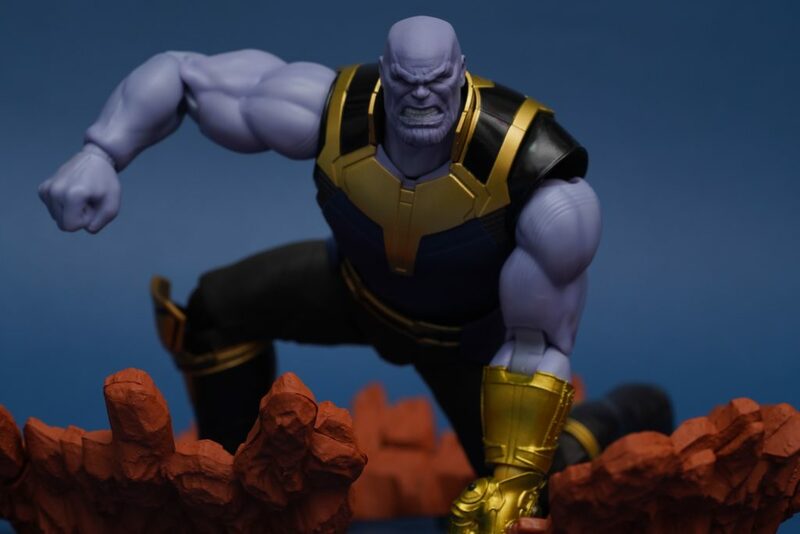 The box art also gives you a good illustration of how fierce of a villain Thanos is. 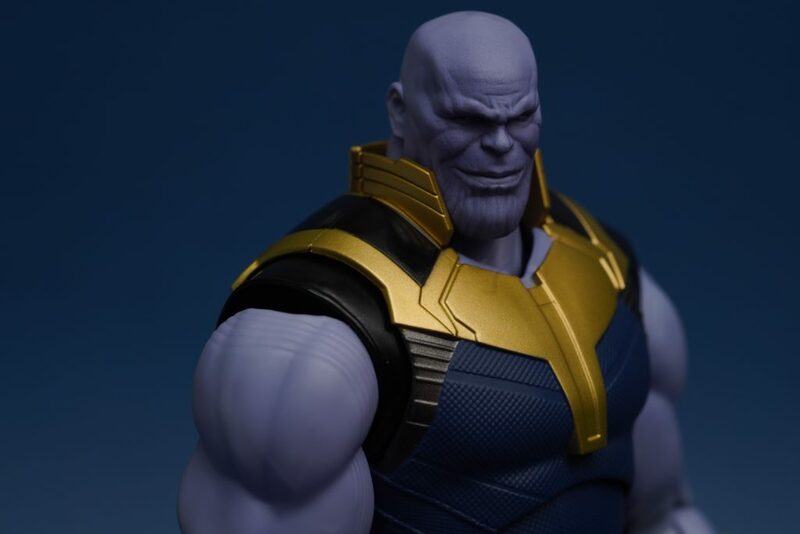 My initial feedback on this figure was it looks very plain. 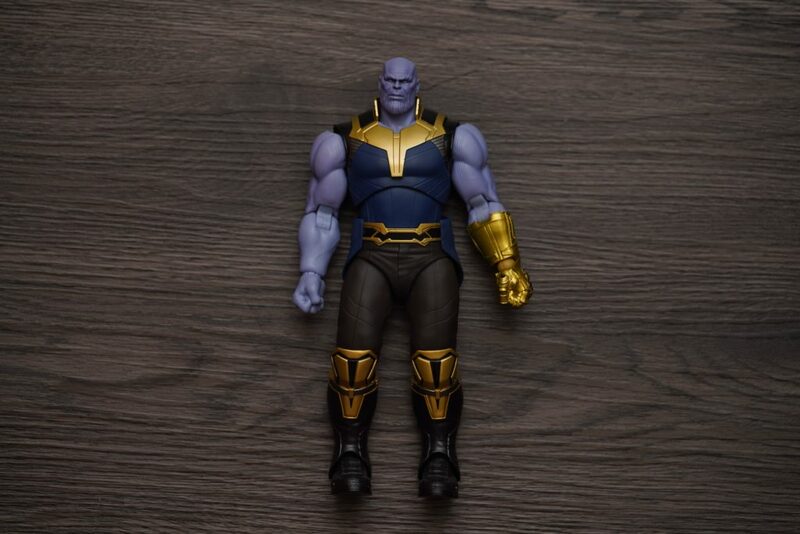 Had they released the full geared Thanos with removable suit parts, then it might have been better. 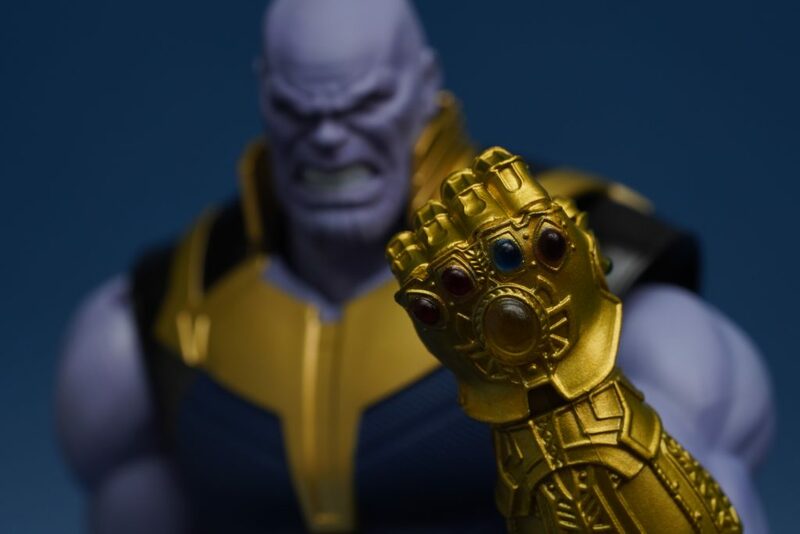 But, worry not, because Banda just released their SHFiguarts Avengers End Game figures which contains the full armored Thanos. Probably it was best that they release it in this timing. 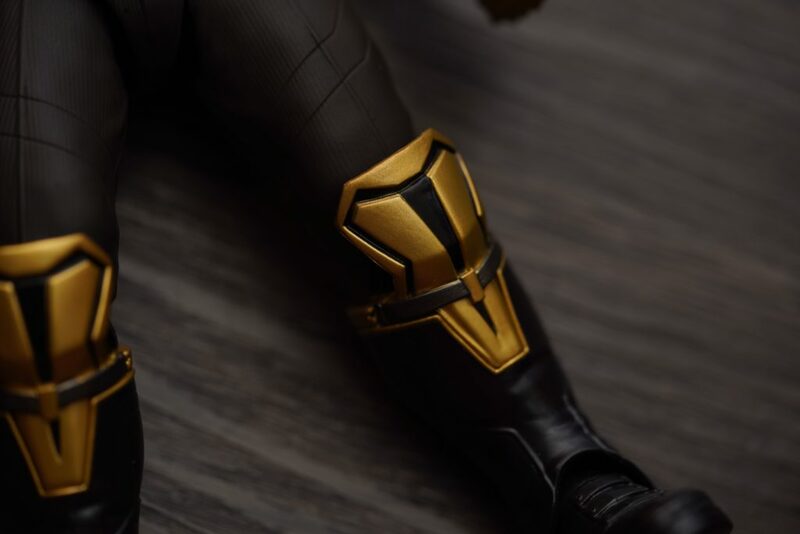 The box contains few accessories, although the included parts are those essential for the main figure. 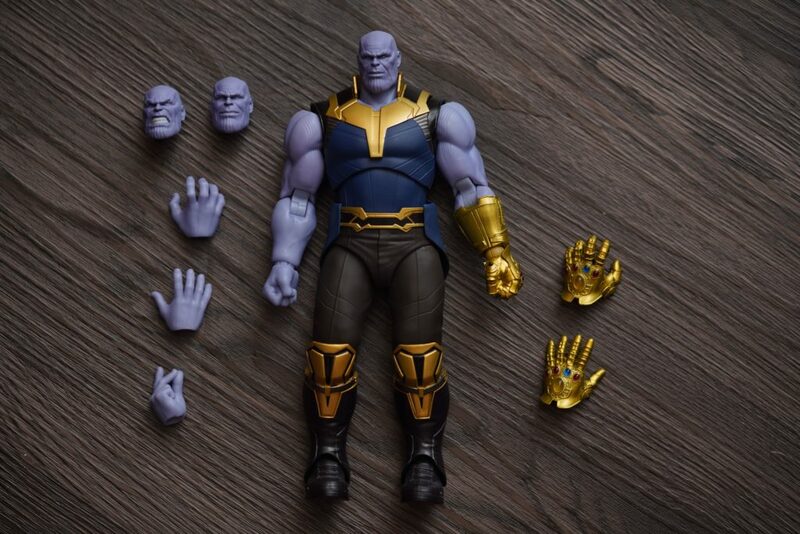 For example, it includes different alternative head expressions, right hand parts and the gauntlet hand parts. 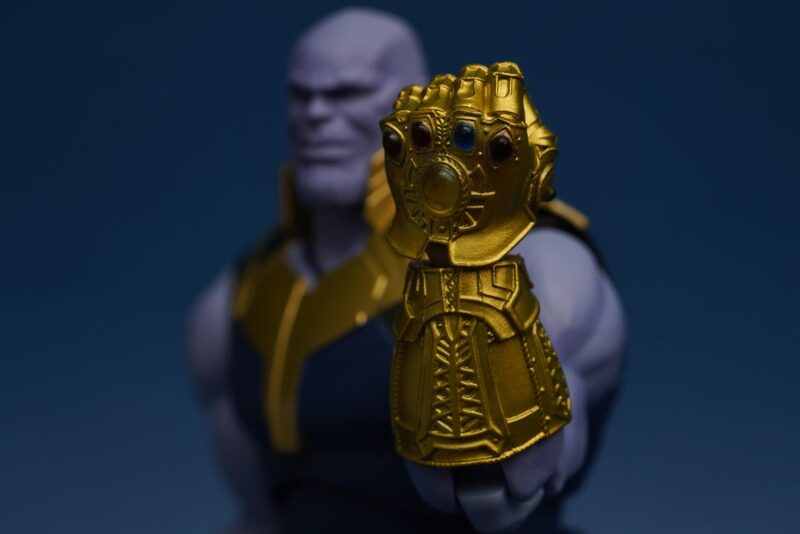 Although it would have been better if they’ve included a snapping finger gesture hand for the gauntlet part. 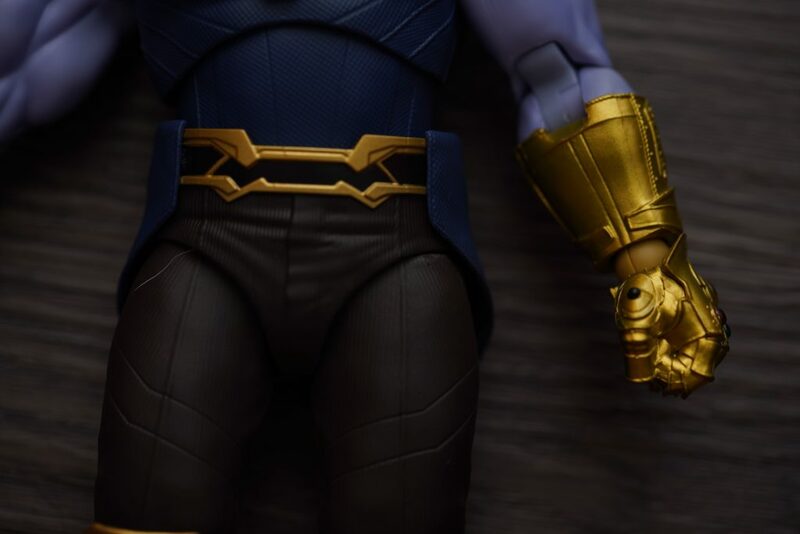 For all we know, it was the left hand who did the very destructive snap. 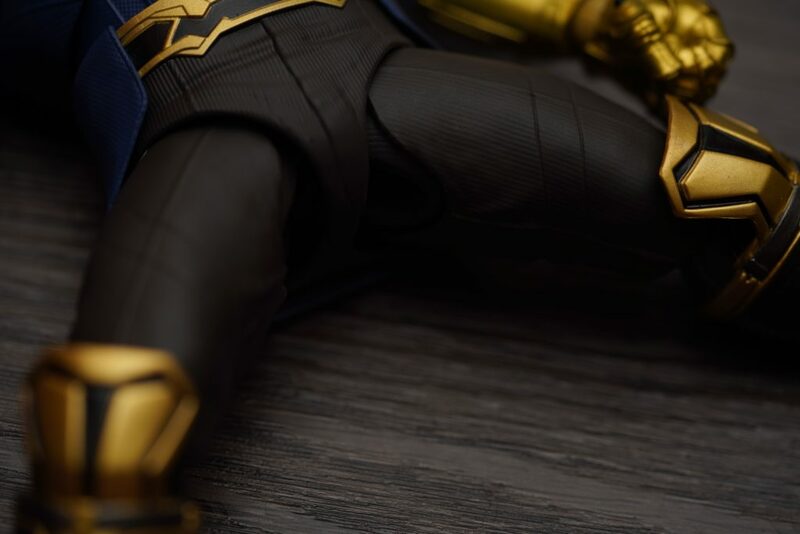 The figure is quite big compared to SHFiguarts’ standard 1:12 scale figures. 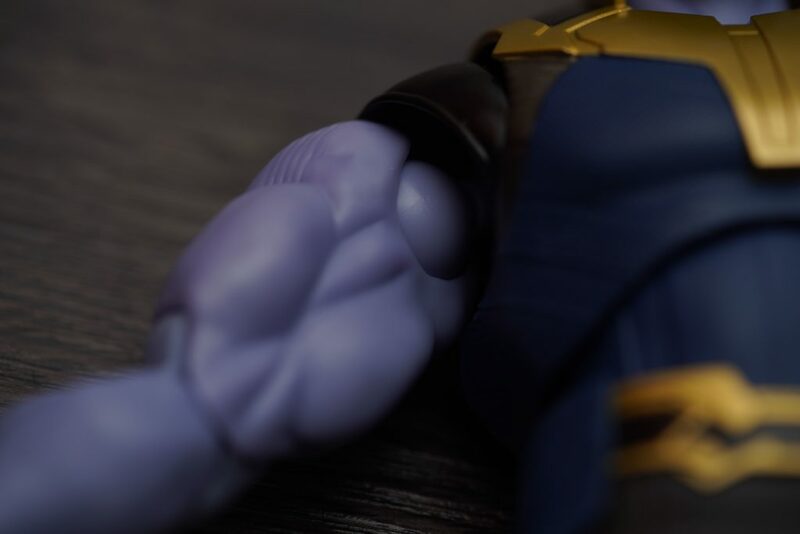 The figure is quite bulky but the entire figure is solid in built. What I meant by solid is that there are barely hallow parts in the entire body. 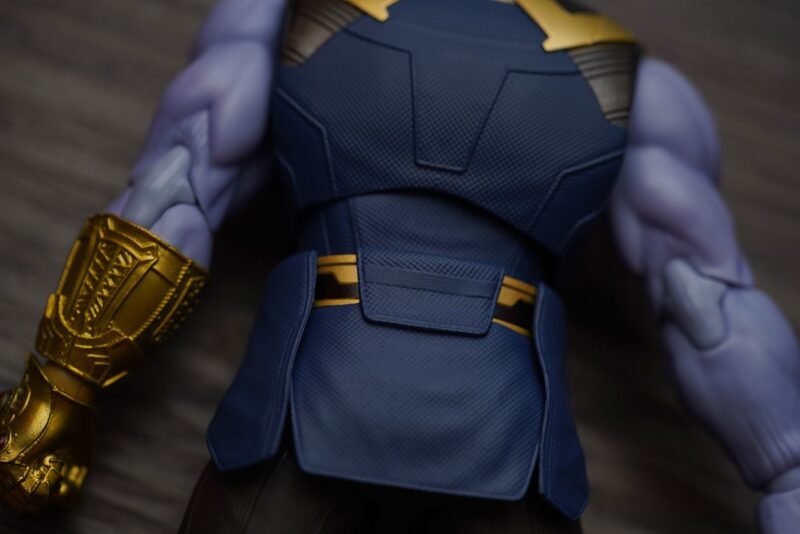 Despite its bulky built, the figure has many points of articulation. The bendable parts are not actually hard to bend or flex. 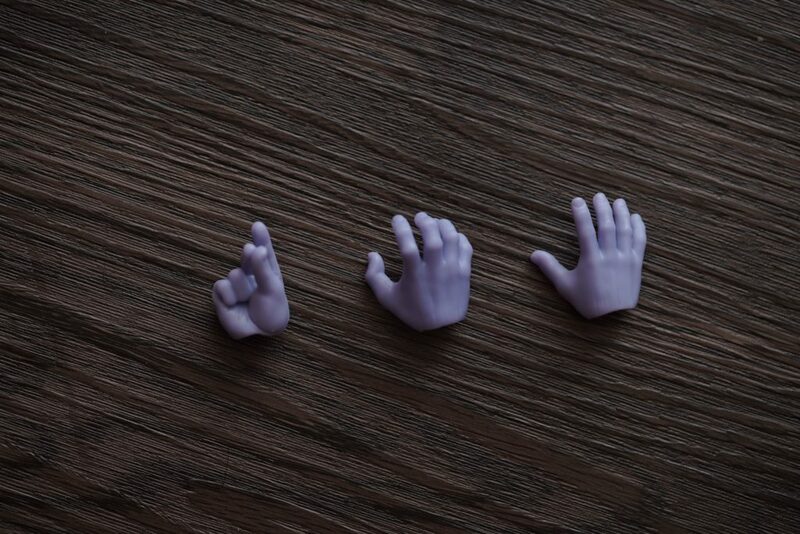 But you still need to be careful when handling it, especially the legs part. 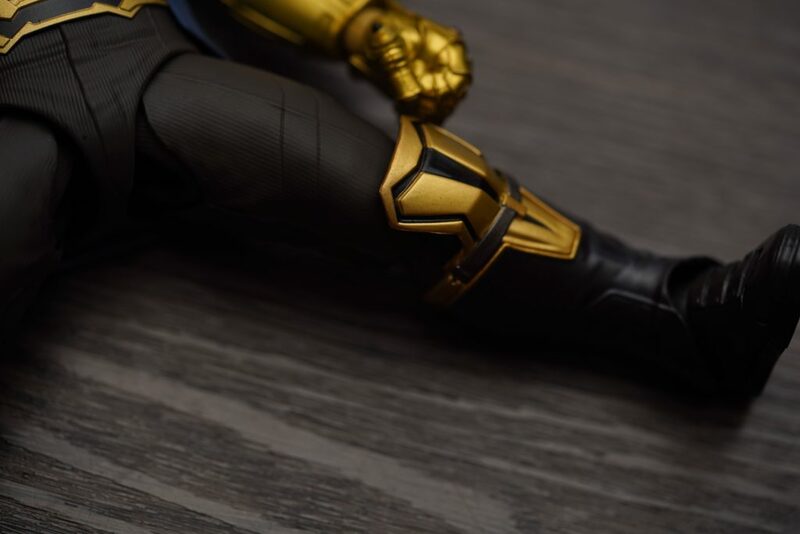 Some of the early purchasers of this figure has an issue with the loose or wobble legs and joints. 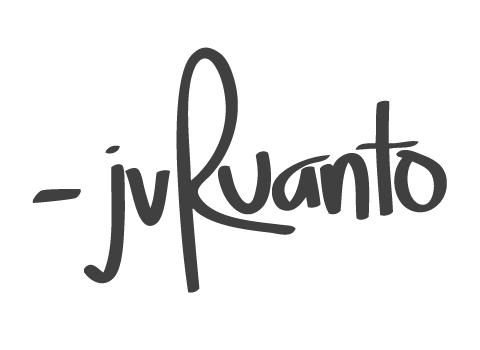 Paint apps are nicely done as well. 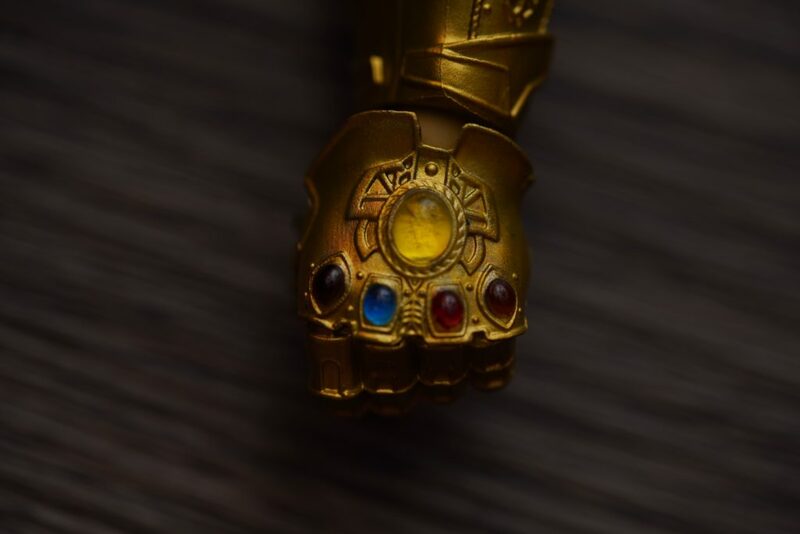 If you take a look at the gold parts, it really feels very premium and shiny especially the gauntlet with its infinity stones. 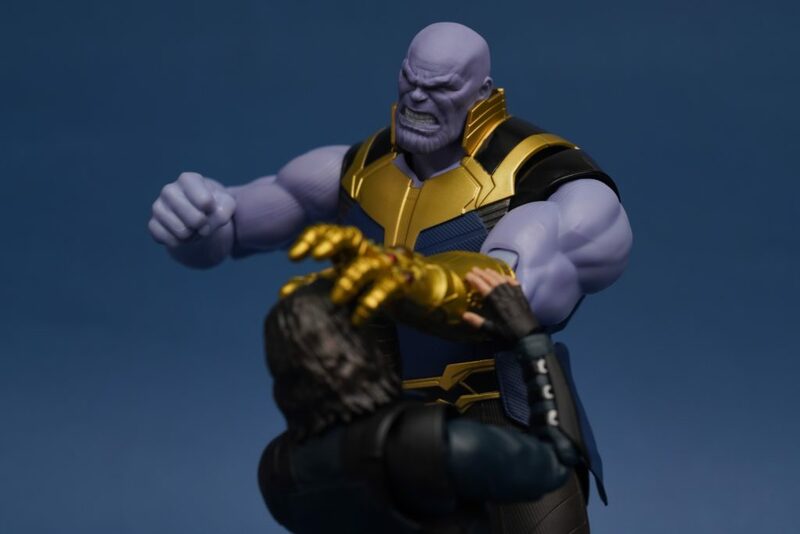 I highly recommend this figure if you already have the rest of the Marvel SHFiguarts. 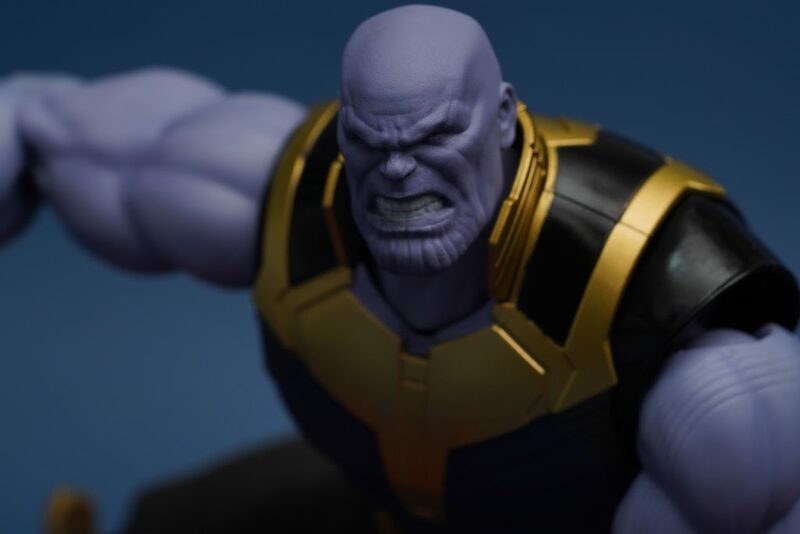 The price may be steep but I assure you that you are paying for a good quality figure. 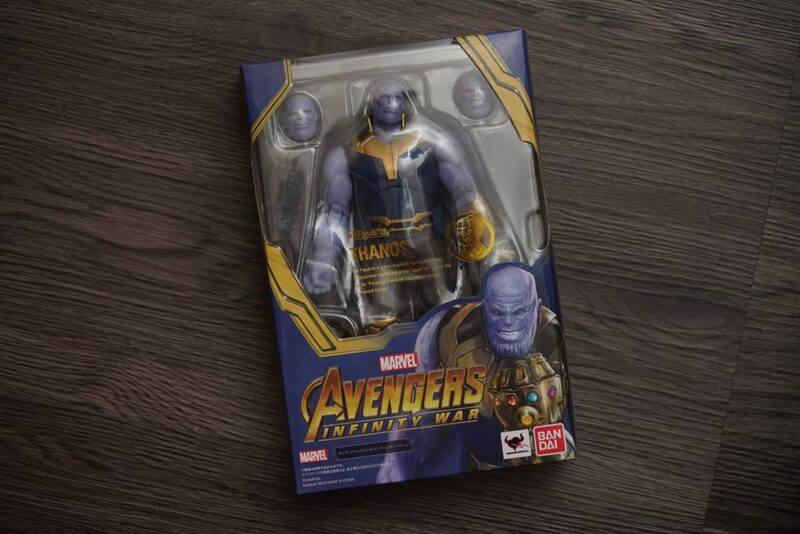 Tjis would be a nice addition to your collection. 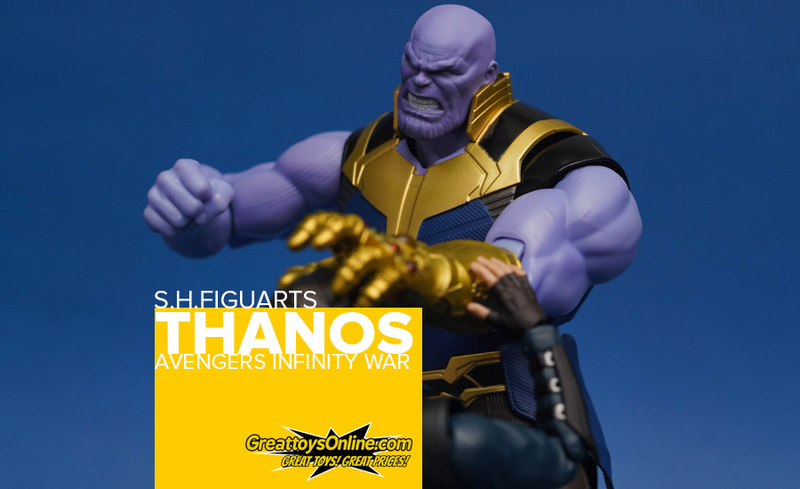 If you’re planning to get your own SHFiguarts Thanos figure – visit GreaToys Online’s social media accounts and website to see all the figures that are up for sale!